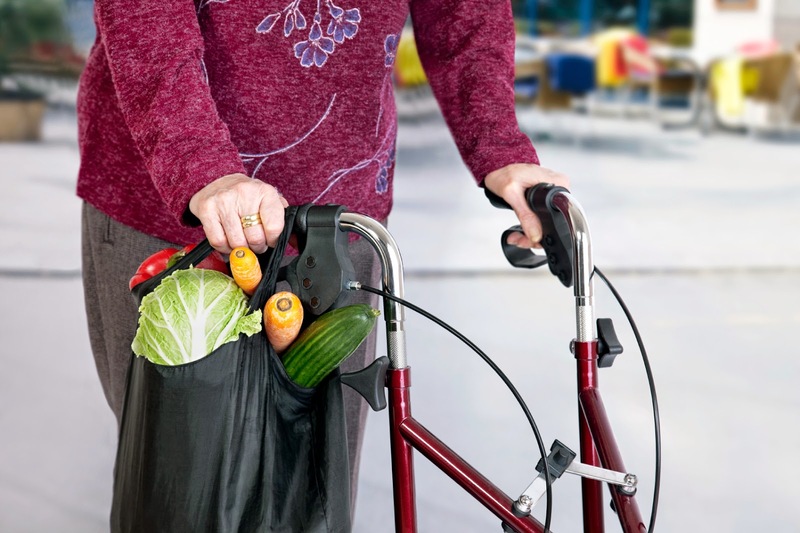 When you are living with limited mobility, you may feel as though you have to sacrifice certain aspects of your lifestyle that are less manageable or not as convenient as they once were. Putting time into preparing meals, or even the act of grocery shopping, may seem daunting, but it is important not to let nutrition and healthy eating fall by the wayside. Maintaining a balanced diet in the face of your body’s condition is vital in keeping it sustained and improving your prognosis. The guide below highlights some manageable and effective nutrition tips for cooking meals that are both satisfying, healthy and sure to improve the quality of your lifestyle. In adapting to a life with limited mobility, it is easy to forget that you should also change the amount of calories you intake, because your body is not outputting as much total energy as it was with a more active lifestyle. Less output means that your body is not capable of consuming and breaking down that amount of calories, so it is important to alter your eating habits accordingly in order to avoid rapid weight gain, which has been known to worsen mobility problems. Instead of eating foods high in fat or sugar, rely on fruits and vegetables, pasta, brown rice, white meat and fish to sustain you. If your diet lacks protein, it could be a sign that your body is struggling and starting to burn lean body mass and muscle for energy. Supplement your diet with foods that are high in protein, such as eggs, tuna and salmon. Foods such as these are fairly quick and easy to prepare and will pack an adequate amount of protein for your body to use. Also, dairy products like cottage cheese and yogurt are great to increase your protein intake easily and with minimal preparation. Smoothies and shakes are easy to consume and are a great way to incorporate protein, as well as fruits and vegetables, into your diet. There are a variety of quick meal and snack options that are not only satisfying but also suitable for a well-balanced diet. If you find yourself reaching for a can in the soup aisle, opt for a “reduced salt” option with lentils, minestrone or other fibrous ingredients, or choose dehydrated soup that is more tailored to a healthy diet. Kidney beans and low-fat refried beans are also great sources of fiber and protein and make great standalone snacks or additions to any meal. Foods like leafy, green vegetables, fish, poultry and lean meats are all high in vitamin B, but if your limited mobility prevents you from preparing any of these items, you can opt for a glass of orange juice or pre-packaged tuna or salmon to fulfill your vitamin B needs. You can also turn to eggs, cheese and various grains and legumes to further supplement your diet. Living with a limited mobility condition may make it difficult for you to get proper amounts of vitamin D if you can’t spend time outside to soak up the sunshine, but you can turn to things like egg yolks as another source. Especially when living with limited mobility, it is important to remember to drink plenty of water to avoid running the risk of dehydration. Dehydration threatens to decrease energy levels and can have a huge impact on your lifestyle, so try to follow the rule that calls for eight 8-ounce glasses of water a day in conjunction with a healthy diet in order to keep your energy levels high. Handling nutrition when living with limited mobility may seem challenging at times, but once you figure out what meals and preparation techniques suit you best, you can comfortably pursue a diet rich in protein and vitamins with plenty of room for variety. 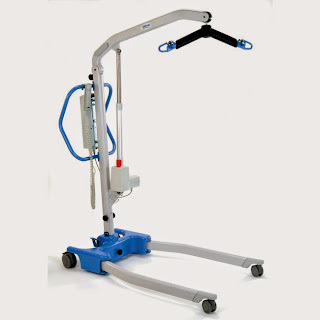 When you’re looking for a strong, sturdy, portable patient lift, nothing beats the Hoyer Advance Lift. Available in either a state-of-the-art electronic model (Advance-E) or a manually operated hydraulic pump model (Advance-H), these units lift and move patients weighing as much as 340 pounds quickly and easily. For those with the requirement to move a non-ambulatory patient from chair to bed, lift them from the floor or even transfer from inside a building to outside for vehicle loading, the Hoyer is #1 in its class. The Hoyer Advance comes in an affordable, manual hydraulic model that utilizes a hand-operated pump to change sling heights. This is a smooth, easily operated unit that doesn't require much effort or muscle and moves the patient smoothly and comfortably. As an alternative, a battery operated electronic model is available for even easier, automated operation. The handheld remote control directs all operations. The Advance lift simply needs to be plugged into a standard electrical socket for overnight recharging. The recharger is built right into the unit and easily accessible. After the initial lift, movement is made easy by way of an over-sized handle and a push foot-pad used to initiate momentum. The all-aluminum construction allows the Advance to be relatively lightweight, although not so light that it doesn't feel totally stable for patient comfort and confidence. If you have someone at home who needs to be moved or repositioned in a variety of postures, the Hoyer Advance is a must-have. If you're a medical practitioner making calls on housebound patients, having a lift that fits in your car trunk and can be easily transported gives you a big advantage in accomplishing proper patient care. These units both include a 2-year limited warranty on everything but the battery. Experience the ease today!